It’s an idea that often crosses my mind. Every now and then I muse that in a Canadian federal election my vote doesn’t really count. I’m almost certain that the incumbent in my federal riding will be re-elected. Even before I moved into my area, I was told that this MP’s political party has a firm hold on this riding. This is good news if I want this MP to be re-elected. But what if I want one of the other two parties’ candidates to win? What if I want the underdog – the Green Party – to take this riding? This would be a justification for me to feel that my effort to vote is a waste of time. How can my vote make a difference? What if everyone who had the same results as I did when I took the Political Compass test or the Policy Face-off test voted in my riding? What if the roughly 41% of possible voters who didn’t vote in the last election came out for this federal election? What would happen if many of them vote for the same candidate that I will support? Anything could happen when my vote rolls along with those of like-minded neighbours. I used to be an active volunteer in a federal political party riding association. These days I don’t feel inspired by the political process. Of course every federal party wants my vote. But do they want to hear my ideas/suggestions/opinions/concerns? At the Federal, Provincial and Civic level decisions are made that have a direct impact on the quality of my life, my health and economic well being and affect more permanent circumstances. An example would be the approval of plans that affect the environment. You can even see how there are monetary and bureaucratic relationships between the different levels of government. But if the silent non-participants stay at home, other people’s voices and priorities will be heard and acted upon. Staying silent sounds like the worst laid plan. Voting is like entering a lottery. You put in your vote and hope that your vote – joined by identical choices by your neighbours – will be the winning entry. You have to go in it to win it. You have to hope that past non-participants will do the same and show up. 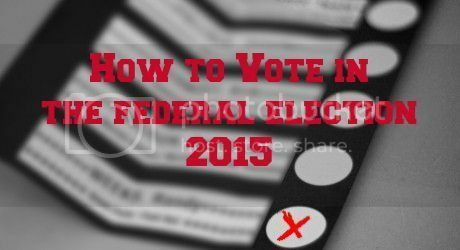 Here is some useful information from Elections Canada about how to vote. Remember that Elections Canada is no longer allowed to advertise and promote voting in a federal election. It’s up to you and me to get the word out. Make sure your friends, colleagues and neighbours know how to confirm that they are registered. Encourage others to vote early and avoid the line-ups. Here in Canada many people didn’t get the vote for a long time. Between 1916 and 1940,and after a long struggle, Canadian women achieved the right to vote after many years of fierce campaigning. Chinese-Canadians were finally allowed to vote in 1947. Remind others that in past years voter turnout has been higher in countries where you can be killed just because you tried to visit a polling station. Let’s not throw away an opportunity for which people elsewhere are risking their lives! This piece put together by the Ontario Council of Agencies Serving Immigrants also describes how to vote in an easy-to-read post. I know how you feel. Our hood seems to be pretty happy being Conservative..though I could see them wobbling to Liberal. Sadly we don’t seem to have a Green party person running here and both Lib and Cons and NDP have put candidates that they hope will buy the ethnic vote. What is interesting is how Lib and NDP threw their caps in with the South Asian community while the Cons still feel their incumbent (Asian) will get the votes. What does that mean for us trying to not vote by colour? Not much….I keep trying to pick by the candidate instead of the ‘get harper out’ deal..but that is tough. As you said, EVERYONE needs to vote this election. EVERYONE.